1433 Carrington St., Janesville | Evergreen Designs, Inc.
Overlooking a Janesville greenbelt, this fine custom home features family living with great entertaining possibilities. With stunning attention to detail, this home features five bedrooms and five baths. The main floor features a large study with custom cherry built-in bookshelves, all custom cabinets and trims. It also features hardwood floors in the great room, study, kitchen and entry. 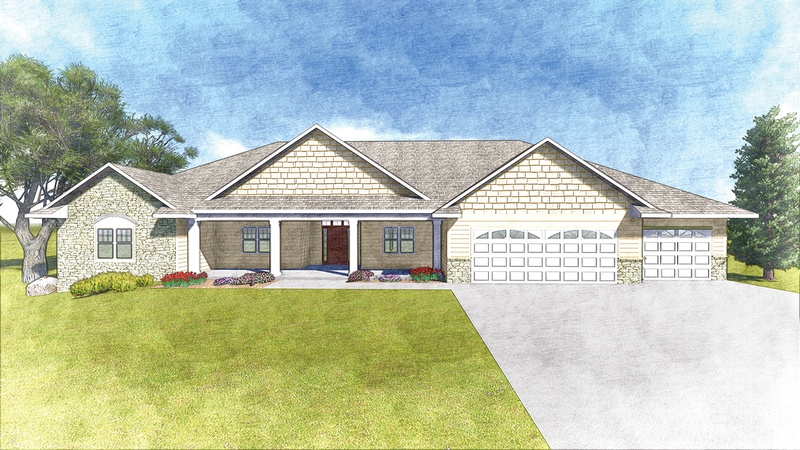 A large screen porch and rear deck allow for hours of outdoor relaxation. Come visit the home to see the many unique features that make this home stand out. A big Thank You to our 2018 Parade homeowners for letting us show their beautiful custom home, and to all dedicated subcontractors. We welcome you to make your next home an Evergreen Designs built home!